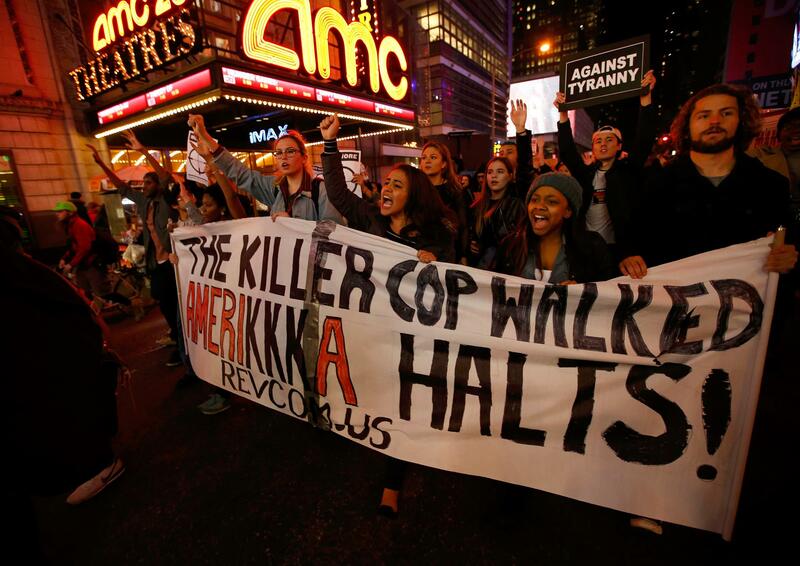 This much protesting in Ferguson, in NYC and all over the nation over what some believe to be injustice regarding a young black man and the white police officer that shot him dead, it just smacks of a bad satire laced with incongruities. There sits a very wealthy man in the White House who happens to be half black and half white who has done far worse to disenfranchised people, including those in Ferguson and all of America, and yet there are no protests, peaceful or otherwise. This man with the Muslim sounding name that calls himself a Christian has looted the public treasury, he has stolen jobs away from the low income and the middle class of Americans of every race and religion. He has been complicit in killing in the name of justice, he has left open the back door of America for more criminals and terrorists to pummel and plunder our nation in every conceivable fashion. The man who would be king has shredded the founding document of this nation in so that his will shall be done, not black America's will, not white America's will, not the will of the voters, not the will of the People. The fact that some of the furor is that the murder of Michael Brown was done by a white cop, yet blacks are burning down black businesses, is not even close to the irony that the very man that won the presidential election in 2008 and 2012 with an overwhelming 94% of the black vote, has done more harm to them and the rest of America then 100 racist cops could ever do. The irony of this is that the only thing that is sure to change is that things will get worse as long as America has a lawless dictator with his lawless emissaries that run an entire psyops campaign to push the whole black/white dichotomy on the unsuspecting, using race baiters like the "Reverend" Al Sharpton and his media buddies to manipulate men and women to the detriment of society and for their own wicked agenda. -W.E.